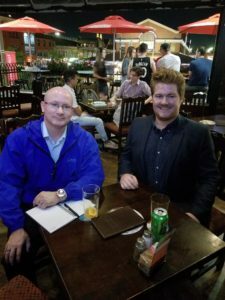 Canadian Space Society went abroad last week! 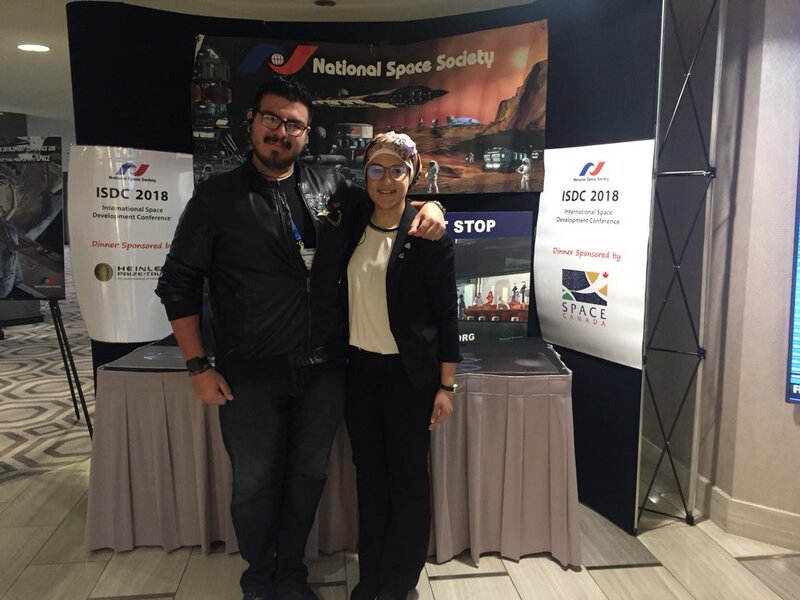 We set up a booth at the 37th International Space Development Conference, hosted by the National Space Society, at Los Angeles, USA, from May 24th to 27th. 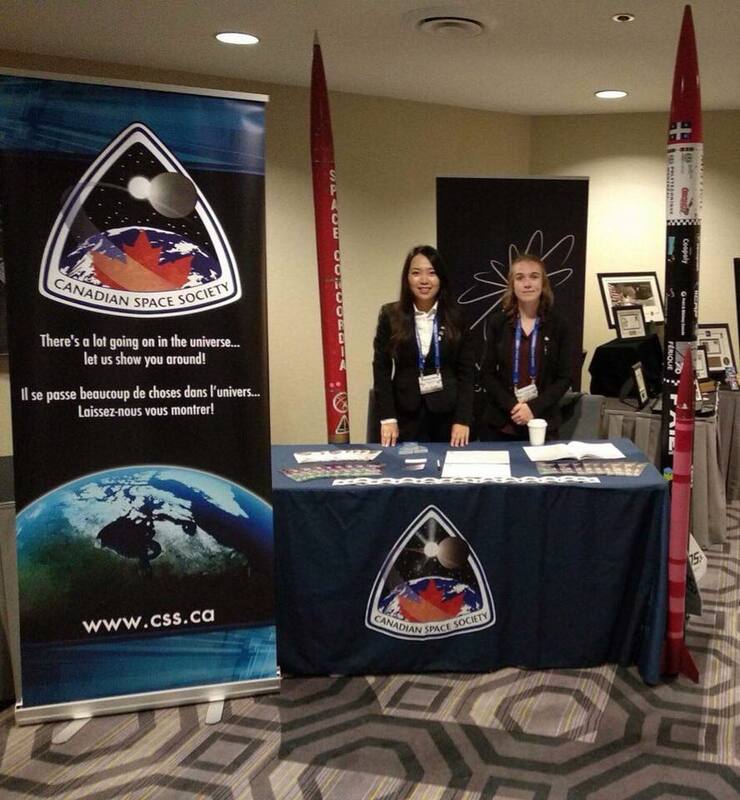 The booth was staffed by Xiaochen, our marketing director, and Aliénor from Montreal Chapter (run by the Montreal Student Space Association (MSSA)), our newest chapter. The booth attracted many visitors, including other exhibitors, to ask about our activities and many of them mentioned that they are working, or would love to work with Canadians. 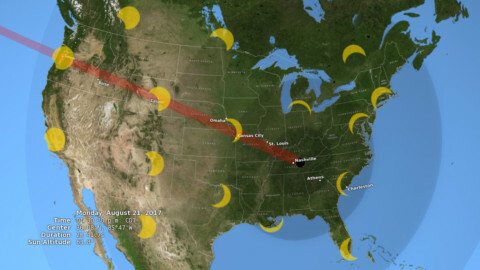 As the theme was “Space travel: Putting people into space,” the majority of the talks were focused on space settlement, resources and transportation. The conference invited many distinguished speakers, including Dr. Kathryn Sullivan, Mr. Jeff Bezos, Dr. Freeman Dyson, Dr. Frank Drake, and some members of the Cassini-Huygens Mission team. The conference also included a significant number of teenage students for the student contest. 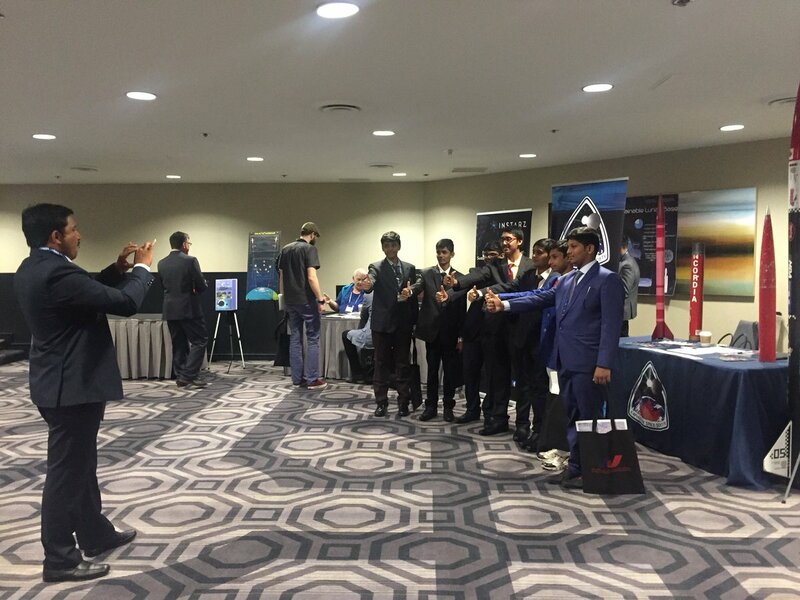 As we refer as #NextSpaceGeneration, the students demonstrated many exciting projects and ideas for space travelling. Ali brought three student rocketry models from MSSA, and they were great attractions, especially to other students! Thank you, NSS and ISDC staff, for letting us join you this year! 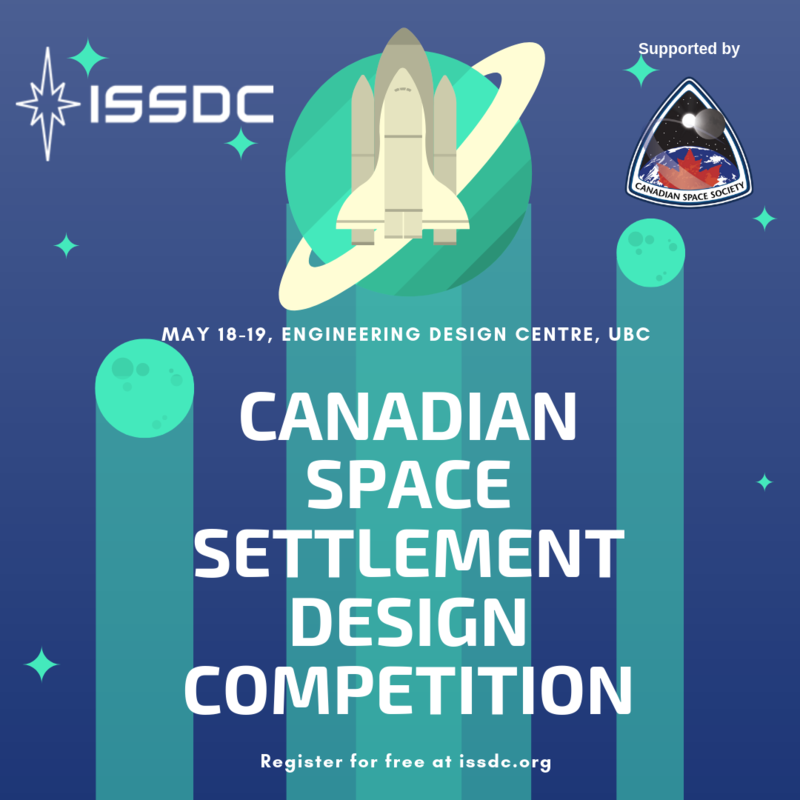 Congratulations on a successful event that brought so many international participants together to inspire future space exploration activities! We look forward to participating in future NSS events too. We would also like to thank everyone who visited our booth and/or discussed with us for future collaborations. 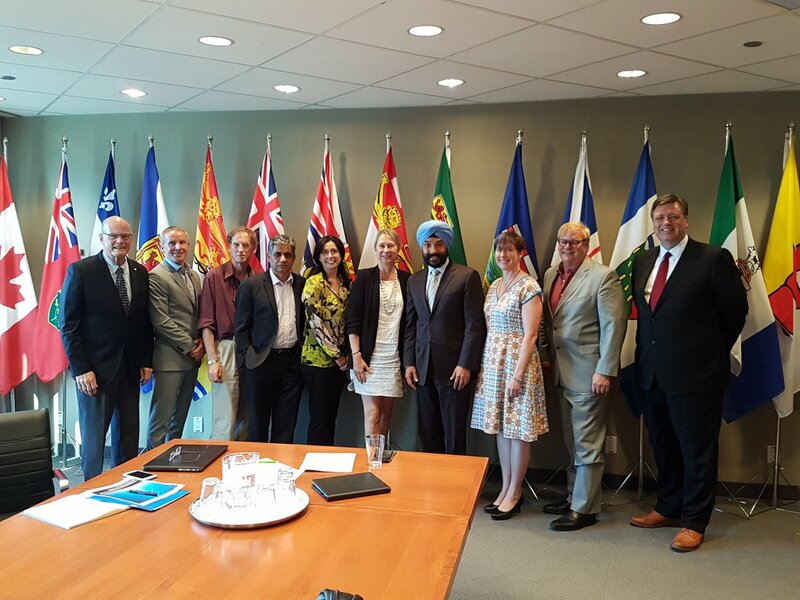 Just this week, it was announced that a new Canadian space strategy is under development. 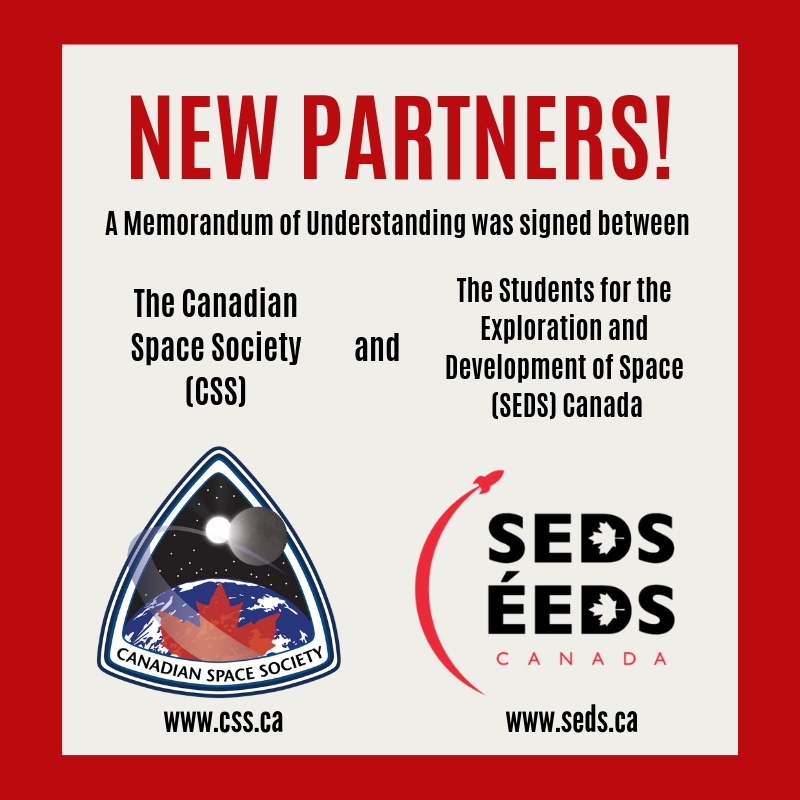 We hope this new strategy could encourage more Canadian participation in space exploration, and demonstrate our strengths to the world! Lilly (right), our Toronto chapter chair, has been involved with organizing ISDC in the past years too. 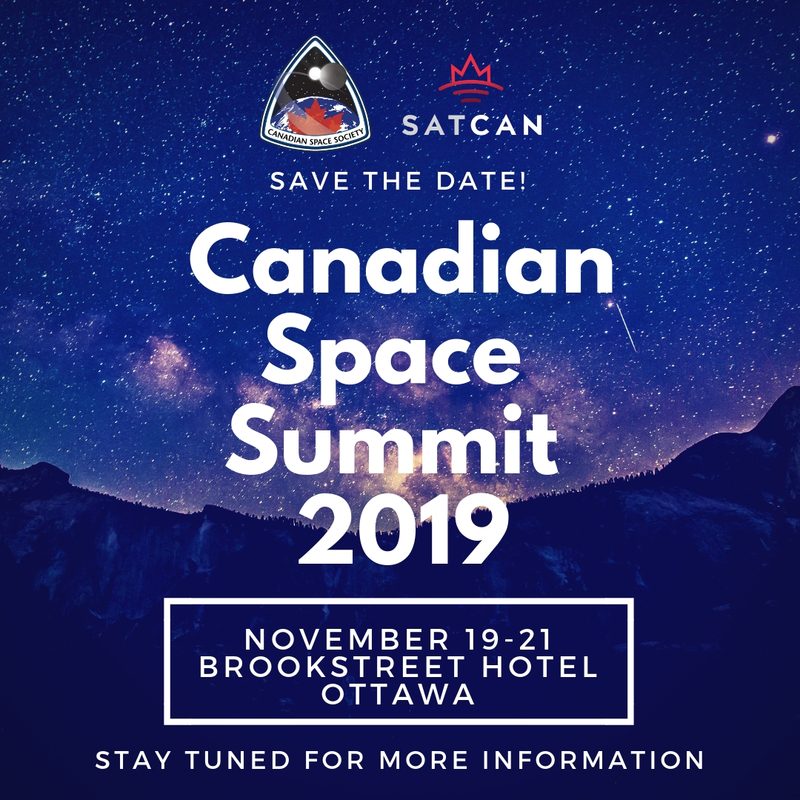 As we are in the progress of planning the Canadian Space Summit for this year, please consider joining us in Ottawa in November to hear about Canadian achievements and future opportunities in space exploration. Details will be posted on our website and social media accounts shortly.